"Life is funny, isn't it? Just when you think you've got it all figured out, just when you finally begin to plan something, get excited about it and feel like you know what direction you're heading in, the paths change, the signs change, the wind blows the other way, north is suddenly south, and east is west and you're lost. It is so easy to lose your way, to lose direction. There aren't many sure things in life, but one thing I do know is that you have to deal with the consequences of your actions. You have to follow through on some things." Rosie Dunne and Alex Stewart has been best friends since they were very young. They do a lot of things together and share everything with each other. As they grew up into teenagers, Alex and his family had to move from Dublin to Boston—and Alex will be continuing his studies to become a doctor there. Rosie was excited at the idea of going to Boston University so she can be reunited with Alex, but her perfect plan fall into pieces when something unexpected happened in her life. "I'm lucky to have a friend like you, Alex Stewart; you really are my moonbeam—guiding the way for me all the time. I don't know how unrealistic the promise we made to each other as children was, to stay together side by side for ever, but we have remained friends across the seas for over twenty years, and that, I'm sure, is some feat." In the end, Rosie had to stay in Dublin but she doesn't lose contact with Alex as they kept exchanging emails, letters, and instant messages. Life is full of ups and downs for Rosie and Alex is always there to listen to her whining about her problems. On one certain day, something different sparked between the two. However, it all happened at a really a bad time. And that missed opportunity made them lead their lives differently. So Rosie and Alex kept being each other's best friends through different life stages; until the next opportunity comes for them. I didn't expect much from this book because I read this book to watch the movie adaptation in the first place; and my Mom already read the translated version of the book—and let's just say she's not entirely impressed by the story. However, my friend who'd also read this book told me otherwise. Even though some things might be irritating, but she really liked how the story was written. So I trusted her recommendation and went with reading it. I've only read one book by Cecelia Ahern before this one, which was P.S. I Love You, and to be honest it was nothing like the movie (in a much better way). 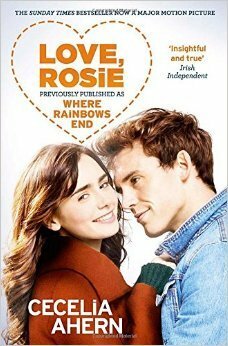 So that's why I insisted I need to read the book first before I go and watch Love, Rosie movie adaptation. That was quite a long introduction; but in short, I really enjoyed the way Cecelia Ahern told the story. 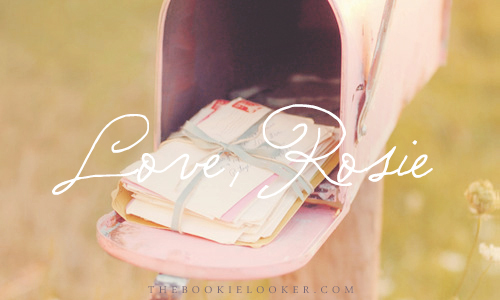 I love how the whole book consists of letters and e-mail correspondence between Rosie and Alex and their friends and families. 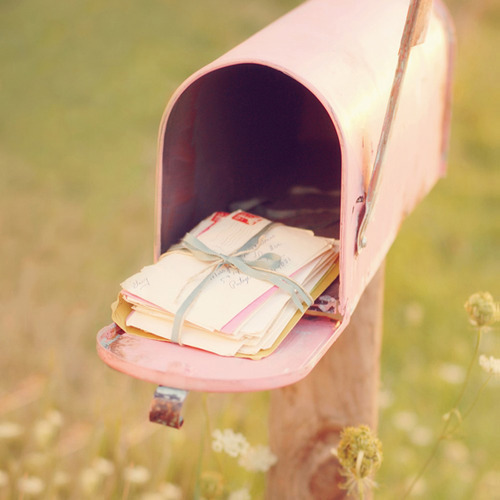 It kind of feels like I'm stalking on someone's mailbox/inbox. In this book, we followed Rosie's life from when she's a little kid until she's at the age of fifty. That's a really long time. And throughout the story, I felt like Rosie has become my friend who tells me all that has happened in her life: all the struggles, how she slowly grows up as an adult, how she deals with life, her worries, etc. Thus everything felt so realistic and I really really like that about this book. Even though the book centered around the aggravating romance between the two main characters, I feel like the stories surrounding it are also very entertaining. Various emotions are involved while I was reading this book; and even though I was quite irritated at times (mostly because of bad timings or plain bad luck), I have to admit this book has successfully entertained me. A lot of things that happened in Rosie's life managed to make me laugh. I don't want to get into much detail about the plot because I'm afraid I'll spoil everything. So I'll just say that I love the story from beginning to end, and the ending is done extremely well. Although it took very long to reach that certain point, it was indeed satisfying and made me feel relieved when I closed the book. "Life is hard—so what? It's hard for everyone, isn't it? Anyone who says it's easy is a liar." "Our life is made up of time. Our days are measured in hours, our pay measured by those hours, our knowledge is measured by years. We rush back to our desks, we watch the clock, we live by appointments. And yet time eventually runs out and you wonder in your heart of hearts if those seconds, minutes, hours, days, weeks, months, years and decades were being spent the best way they possibly could." "There are no limits You expect the unexpected, you believe in magic. Then you grow older and that innocence is shattered. The reality of life gets in the way and you're hit by the realisation that you can't be all you wanted to be, that you just might have to settle for a little bit less. Why do we stop believing in ourselves? Why do we let facts and figures and anything but dreams rule our lives?" I find myself learning a lot about life from Rosie; and although she's not my favorite character from the book, I actually liked her personality. Above are some quotes that I really liked from the book, which I find very interesting to think about. As for Alex, I'm not impressed by him and his decision; but I have to admit he's been a good friend to Rosie. And the way he writes 'know' as 'no' every single time is the only thing about him that left an impression on me. My favorite characters in this book is actually Ruby—Rosie's best friend, and Phil—Alex's brother. These two are the people who kept pushing Rosie and Alex to admit their feelings for each other. Phil doesn't show up much in the story because Alex only messaged him occasionally (especially when he's in distress about Rosie). But Ruby is quite a major character in this book and I love how sassy she is! I always love her sarcastic remarks and even though she can sound harsh at times, deep down she really cares about Rosie. She's absolutely the best. Another character that's quite important will have to be Katie—Rosie's daughter, and her best friend, Toby. I find it really fascinating how the friendship between these two reflects Rosie and Alex's friendship when they were younger. Thankfully they didn't go down the same aggravating path as Rosie and Alex. "You know, you two have the worst timing ever. When will you ever learn to catch up with each other?" Overall, it was a very enjoyable read and has become a story that's close to my heart because of how realistic it felt. I will definitely be reading more Cecelia Ahern's books in the future, so feel free to recommend me some of her books that are worth to read! :) Now I am very excited to watch the movie adaptation for this book. And I no it'll be very much different from the book, but I'm just very excited to see Sam Claflin as a main character in a movie. If you haven't watched the trailer for Love, Rosie movie adaptation, go watch it below ;) Hopefully I'll be able to post the movie adaptation review very soon.